Kettering, Community Easter Egg Hunt (4/20): Annual Easter Egg Hunt! Over 2000 eggs filled with candy. Other special goodies too! 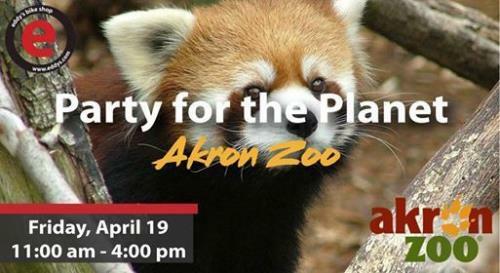 Akron, Party for the Planet (4/19): There’s no better place to ‘go green’ then this Earth Day celebration. Special activities are planned throughout the day! 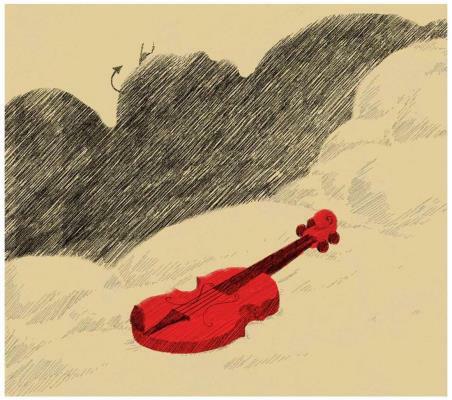 Springfield, Stravinskys The Soldiers Tale, Springfield Symphony (4/18): A musical setting in which a returning WWI soldier sells his violin to the devil in return for the promise of fortune and wisdom. The devil, however, has much more in store for this young man. 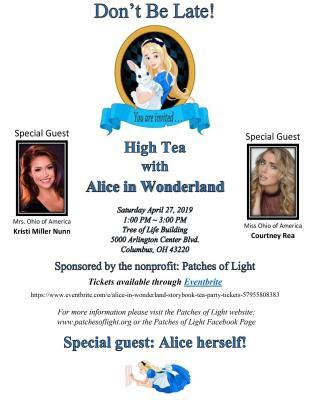 Columbus, Alice in Wonderland High-Tea Party (4/27): Your presence is requested at an Alice in Wonderland Tea Party celebrating the very merry un-birthday of all who attend! Please wear your tea party best and DON'T be late for this very important date! Canton, Better Business Bureau Shred & E-Cycle Event (4/27): Free shred and e-cycle event for all. Please call 330-454-9401 or visit our website bit.ly/2019shredevent for more information. 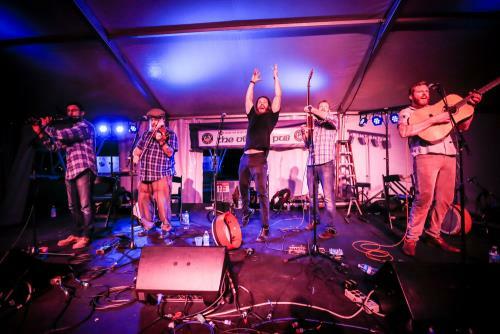 Cincinnati, The Drowsy Lads (4/27): The Drowsy Lads "The Best Irish American Band" - Irish American News, return to Cincinnati's Irish Heritage Center. They bring excitement & great talent to our stage. "These Guys are Smokin". Akron, A Taste of Urban Vision (An International Food Festival Fundraiser) (4/27): Taste your way around the world— in one afternoon! Akron, Akron Symphony Spring Gala 2019 (4/27): Join us on the stage at E.J. Thomas Hall on April 27, 2019, for the annual Spring Gala to benefit the Akron Symphony Orchestra. Akron, April Open House! (4/19): Don’t miss this opportunity grab some food and to win some awesome prizes! Akron, Barre Essentials Workshop - Beginners (4/27): If you are new to barre or would like to know more about what barre is, this is the workshop for you. Akron, Beast, Eye, Relaxer (4/19): Doors @ 7:30pm. Show at 9pm. $10 / All ages. Akron, Biannual Little Cuyahoga River Spring Cleanup (4/20): KEEP OUR STREAMS CLEAN. This event is organized by the Cascade Locks Park Association and sponsored by EnviroScience, Inc.
Akron, Cards that Spin, Pop and Twist! 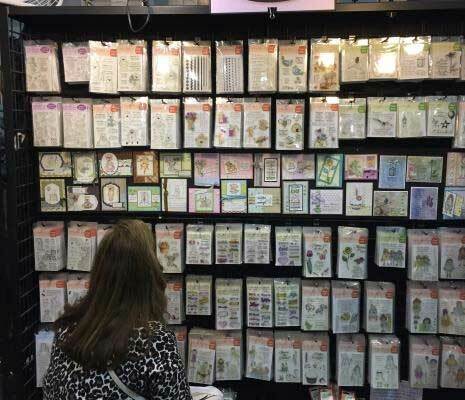 (4/26): Join Diane Wilcox in Class at The Adventures in Stamping show in Akron, Ohio! Diane will be teaching a fun class using Creek Bank Creations Products. Akron, Dance.r.evolution (4/19): Dance.r.evolution on Friday, April 19, 2019 at 7:30 PM at Akron Public Library. Akron, Greater Akron Young Marines Ruck March (4/27): Greater Akron Young Marines will be hosting a ruck march through Goodyear Heights Metro Park. Akron, Hayden Gilbert and The Ruckus (4/19): Come join us for an evening of soulful fast blues-rock with Hayden Gilbert and The Ruckus! Akron, Hop & Shop Pop Up Market (4/20): Join us for a Hop & Shop Pop Up Market on April 20th, featuring beer from Lock 15. Brewing Co. artisanal wares from Local Akron vendors, and live music! Akron, Hubbs Groove Inc Present Horns & Thing 8point Bistro (4/21): Regardless of the occasion, "HORNS & THINGS" has the crossover appeal that pleases audiences of all categories and have proven over the years that they are the dynamic and explosive performers. Akron, Hypnosis for Smoking Cessation (4/27): Want to stop smoking? Now is the time! Join us for a group hypnosis session for smoking cessation. Cost $50. Cd included. Akron, Joe Vitone: Family Records (4/27 - 10/27): Joe Vitone: Family Records is an ongoing series of portraits of photographer Joe Vitone’s relatives living in and around Akron, Ohio. Akron, Mernet Larsen: The Ordinary, Reoriented (3/16 - 9/8): Mernet Larsen (b. 1940) makes intriguing, humor- and tension-infused paintings featuring geometric figures that inhabit space in ways that defy gravity and conventional viewpoints. Akron, Nick Cave: Feat. (2/23 - 6/2): Chicago-based artist Nick Cave (b. 1959) produces work in a wide range of mediums, including sculpture, installation, video, and performance. Akron, Pack 3075 Blue & Gold Banquet (4/27): Our 2019 Blue & Gold Banquet luncheon, help celebrate the scouts' achievements and send off our Webelos as they cross over to Boy Scouting. Akron, PJ Library Table at the Beth El Seder (4/20): If you are a young family, please join us at the PJ Library table at the Beth El seder. Akron, Rising Tides: Full Moon Fruition Workshop (4/20): Find the flow with Libra sisters Katelyn Woodford-Shell and Elizabeth Tipton as they collaborate for the very first time to bring you their 2019 Moon Series. Akron, Rock for a Good Cause 2019 (4/20): Our annual Harvest for Hunger fundraiser for the Akron-Canton Regional Foodbank will be at The Rialto Theatre this year! Akron, Run to the Beach 5k Run/Walk (4/20): The Run to the Beach 5K Run/Walk features a scenic course that loops around Portage Lakes State Park on asphalt and trails, much of it waterfront, and ends on the beach. Akron, Rusty Goat at Getaway Pub! (4/19): Good times with Rusty Goat! Little bit of rock, a little bit of funk! Great music, good food and fantastic beverages! Akron, The 4i3 Band Playing Akronym Brewery! (4/19): Very excited to play this new venue for the band. Come out and help us pack the place. Playing all your favorite contemporary and classic covers! Akron, Twerk,Shake & Paint (4/19): Akron lets get ready to twerk and shake while you paint. Akron, Were Havin A Party (4/27): Well it is on! April 27th at Tangier! Will will be joined by Rocky Mountain Way - a Joe Walsh Tribute Band. Akron, Whiskey Bound Celebrates with Windsors Pub (4/20): Join us at Windsor's Pub in Akron on Saturday (4/20) starting at 1pm. Bellbrook, Sugar Maple Festival (4/26 - 4/28): Come join the Bellbrook and Sugarcreek Township community as it celebrates the 41st annual Sugar Maple Festival in downtown Bellbrook. Bellefontaine, Egg Hunt & Earth Day event (4/20): Celebrate Earth Day while kids hunt for eggs! Belmont, Earth Day Egypt Valley Gravel Ride (4/28): It will be a mix of Gravel and Asphalt around 30 miles. Mountain, Hybrid, or Gravel Road Bikes recommended. Brook Park, All Cleveland Reptile Show & Sale (4/21): The Place for all your Reptile pets & Supplies! The Reptile Show and Sale will be held on April 21, 2019. Canton, All City Dance Party With Laflavour (4/27): McCall's has restaurant and good food and a cash bar please come for dinner before the dance. Canton, Avengers Endgame Latenighter (4/19): Join us in taking down the Mad Titan and restoring order to the universe. Canton, Breakfast with the Easter Bunny (4/20): The Easter Bunny will be making a guest appearance at The Cafe from 9AM-11AM on Saturday, April 20th! Bring the kiddos and enjoy a delicious meal! Canton, Canton Rotary Health Fair (4/27): The Rotary Club of Canton and Mercy Medical Center have again partnered to bring very low-cost blood screenings to the Stark County community. Canton, Croppin Friday NIght (4/26): Come enjoy a night of crafting and fellowship. Canton, Documentary Short Film Finalists (4/27): Short documentary films from all over the world will be screened and the audience will choose an award winner who will receive a uniquely Canton, Ohio trophy and a $200 prize. Canton, Drum Circle (4/19): Join a circle of friends as we make music using drums and percussion instruments. Bring your own drum, or use one of ours...no experience needed! Canton, Eric Brooke & Saxy Rob Perform at Game Time Bar and Grill! 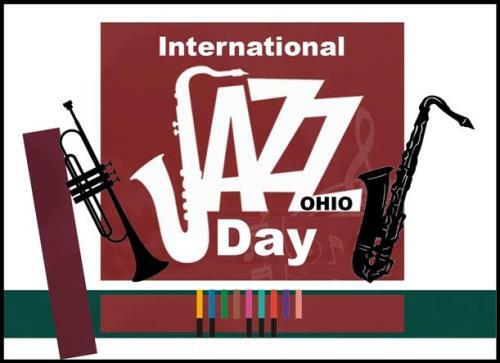 (4/19): Eric Brooke and Saxy Rob are our musical talent on Friday night, April 19th! They will be performing from 8pm to 11pm! Canton, Glenbeigh Gratitude Breakfast Canton (4/20): Join Glenbeigh Outpatient Center of Canton and celebrate spring with friends and family at a Gratitude Breakfast. Canton, Intro To Scent Workshop (4/19): Come and join us for Intro to Scent Work. Canton, Lenna’s Ladybugs Workday (4/27): Come one, come all! We need your help! Canton, Music Through the Decades Fundraiser (4/27): Enjoy hors d'oeuvres and mingle as you view the beautiful tablescapes designed by our members to represent a favorite song from decades past! Chagrin Falls, Chagrin Falls Antiques Show & Sale (4/26 - 4/27): About 40 dealers from Ohio, Pennsylvania and Indiana participate in the Chagrin Falls Antiques Show and Sale. Cincinnati, 8th Annual Cat Pancake Breakfast (4/26): Join us to honor Annie Bennett Faragher, Officer Lisa Johnson, and Hamilton County Commissioner Denise Driehaus. Cincinnati, Art Academy of Cincinnati at 150 (2/1 - 4/28): The Art Museum celebrates 150 years of creativity with this exhibition of works on paper by alumni and faculty of the Art Academy of Cincinnati (AAC). Cincinnati, Bowling For A Cause FUNdraiser (4/27): Their Voice is hosting their 2nd annual Fundraiser to help raise money for families affected by Cerebral Palsy and other disabilities. Cincinnati, Cincy Cinco 2019 (5/4 - 5/5): Join us for the most authentic fiesta latina! Cincinnati, Rachel Rampleman: Oh! You Pretty Things (4/19 - 6/16): Multimedia artist Rachel Rampleman presents a survey of her documentary and experimental video work featuring single and multi-channel installations from the last decade. Cincinnati, Winslow Homer to Georgia O’Keeffe: American Paintings from The Phillips Collection (2/9 - 5/19): Winslow Homer to Georgia O’Keeffe traces a century of the modern creative spirit in the United States, ranging from realistic landscapes to bold abstract forms. Circleville, Health & Wellness Expo (4/20): Join us on Saturday, April 20th for the Health & Wellness Expo from 10a.m. to 1p.m. at Applied Therapies! Cleveland, 12th Annual Creating Futures Benefit & Silent Auction (4/26): 12th Annual Creating Futures Benefit & Silent Auction on Friday, April 26, 2019 at 6:30 PM. Cleveland, 2019 Walk to Cure Arthritis Cleveland, OH (5/5): Whether you’re an arthritis warrior yourself or care about someone who is, sign up and WALK to CURE Arthritis. Cleveland, 2nd Annual Flow:20 Edm & Arts Festival (4/20): THE SECOND ANNUAL FLOW:20 EDM & ART FESTIVAL IS OFFICIAL! HIGHLIGHTING SOME OF THE BEST LOCAL TALENT IN FLOW ART, LIVE PAINTING/CONTEMPORARY ARTS, AND EDM DJ/PRODUCERS! Cleveland, B1of5: A Night Filled With Hope to Benefit NewBridge (4/27): join us on Saturday, April 27, 2019 for our B1of5 – A Night Filled With Hope annual benefit fundraiser. Cleveland, Beyond Truth: Photography after the Shutter (2/10 - 5/26): Just how truthful is photography? Despite the ability to manipulate selfies on our cell phones, many of us cling to the illusion that the medium has an inherent connection to truth. Cleveland, Blackout Yoga (4/26): Experience yoga in a whole new LIGHT. Cleveland, Bling Hack: An Upcycle Workshop (4/27): BLING HACK is your chance to learn how to transform broken, underwhelming, and unloved jewelry into one-of-a-kind upcycled creations! Cleveland, Breaking Bread with FYP (4/28): You've been thinking about it for 8 days. Your mouth waters for it. Your belly grumbles for it! We've all been craving them..CARBS! Cleveland, BWE Future Kidz Presents: Spring Bling 2019 (4/27): It’s that time again when we celebrate spring! BWE Future Kidz and Zelma Watson George will be hosting Spring Bling 2019. Cleveland, Delusional Divas of Drag (4/26): “The Delusional Divas of Drag” The original scripted Drag Queen Musical Comedy is back with both Lip-synced and LIVE Vocals, Restraining Orders, Ankle Bracelets and Cruise Ship Disasters. Cleveland, Easter Brunch (4/21): Enjoy Easter Sunday with family and friends at our award-winning brunch! Cleveland, Easter Brunch Buffet (4/21): Easter Brunch Buffet on April 21st at 11am. Cleveland, Easter Brunch Cruise (4/21): Join us and the Easter Bunny aboard our first cruise of the season. Enjoy an unlimited brunch buffet, music entertainment and a sightseeing tour of Cleveland. Cleveland, FireBall 2019 (4/27): Please join us for Andrews Osborne Academy's 7th Annual FireBall Auction. Cleveland, Flowing with the Fishes! (4/19): Flowing with the Fishes is a unique way to experience The Greater Cleveland Aquarium. Enjoy breathing, moving and flowing through your yoga practice right in the heart of the Shark Exhibit! Cleveland, Gen X at Smedleys (4/19): Our Debut at this venue was amazing and thanks to the ownership, management, and bartenders, they have booked us again for 3 shows in 2019! Cleveland, Gordon Parks: The New Tide, Early Work 1940–1950 (3/23 - 6/9): The pioneering African American photographer Gordon Parks (1912–2006) considered his work during the 1940s and ’50s to be the benchmark for his 60-year career. Cleveland, JGS Spring Fling- Cleveland Style (4/26): Join us for our Spring Fling fundraiser in Cleveland! All proceeds benefit the JGS mission! Cleveland, Joey Amato & the Swingin Picks (4/19): Joey Amato shares the stage with his friends, Chris Madison lead guitar, Don Krueger drums, & Kevin Rian bass guitar. Cleveland, Karamu Comedy Show (4/20): Comedy! Karamu Style! Witness some of Cleveland’s funniest, as they remind us that joy and laughter are all around if we just take the time to see it. Cleveland, Knowing Your Home: Step Repair & Replacement (4/27): Join LakewoodAlive and our friends over at Cleveland Lumber Company for a workshop dedicated to exterior step repairs and replacement. Cleveland, Mister Breeze @Smedleys Bar and Grille Cleveland. Oh. (4/26): Mister Breeze brings their "Southern Rock" show to Smedley's. Hear hits from Lynyrd Skynyrd, The Allman Bros. The Marshall Tucker Band and more. Cleveland, Moon Cycle Exploration with Jessica Julian (4/20): Come join other women in a safe space to explore the nature of cycles in our physical and energetic bodies and the world around us. Cleveland, Passover Shabbat (4/19): It's the most anticipated event of Spring 2019: PASSOVER SHABBAT! Join us for the First Seder of everyone's favorite bread-free holiday at 5:30pm. Cleveland, Pre-Dyngus Day Party (4/19): Can't skip work on Monday? Or maybe you just want to pre-game the big day? We're throwing a Pre-Dyngus Day Party and you're invited! Cleveland, Raúl de Nieves: Fina (2/2 - 4/28): Raúl de Nieves: Fina, the first solo museum exhibition by Raúl de Nieves, will feature new work in a site-specific installation developed for the Cleveland Museum of Art at the Transformer Station. Cleveland, Service of Light (4/20): We begin outside with a fire, and end at midnight with cries of "He is Risen!" Cleveland, Sheer Elite Special Edition Dance Moms Competition (4/27): Join us on Saturday April 27, 2019 for the Cleveland, OH Sheer Elite Special Edition Dance Moms Competition! Cleveland, Through the Looking Glass: Fourth Dimensional Artscape (4/27): If I had a world of my own, everything would be nonsense. Nothing would be what it is, because everything would be what it isn't. Cleveland, Whole Lamb Butchery Class (4/27): Please join us on for a lamb breakdown demo and sausage making class. Columbus, 2019 Earth Day Celebration (4/20): Join us downtown at the Genoa Park riverfront (behind COSI) for a FREE day-long festival to cap off Earth Day Columbus 2019! Columbus, 2019 Walk to Cure Arthritis Columbus, OH (5/4): Whether you’re an arthritis warrior yourself or care about someone who is, sign up and WALK to CURE Arthritis. Columbus, 5th Annual Karaoke Night (4/19): This is it - the final and greatest event of the year: karaoke! Columbus, 79th Annual Shamrock Club Officer Installation Banquet (4/27): $50 per person. Make your reservations today! Columbus, Annual Easter Egg Hunt (4/19): Our Easter Egg Hunts are always so fun! Parents watch as the kids eyes light up with every egg they find. After the hunt we will give the kiddos an Easter Egg Bunny Bag full of fun surprises. Columbus, Blend, Happy Family, NRPB, Fullsend (4/20): Blend- Alt Rock band from Columbus that blends the genres of Prog, Hard Rock, Funk, Metal, Ambient and Jazz to bring you a unique sound everyone can enjoy. Columbus, Bring your kid(s) to Work OUT Day! (4/26): Enjoy colorful conversations and nutritional treats! Not a member, no worries....this class is FREE! Columbus, Columbus Tattoo Festival (4/26 - 4/28): The Hell City Tattoo Festival will be held on April 26-28, 2019. Come celebrate the body art, education of tattooing and other forms of body modification. Columbus, Date Night Doubles - Partner Yoga Class (4/26): So let go of your competitive nature and be ready to lose and regain your balance, tip over and try again, celebrate your successes and find renewed joy in your yoga practice. Columbus, Dave Night with David Z. Price! (4/19): David Z. Price is the host of Dave Night. Audience interaction, videos, jokes, special guests! A fun time all around! Columbus, Del & The Wave & Hello Luna w/ The Forty * Discount Nostalgia (4/27): Del & The Wave & Hello Luna w/ The Forty * Discount Nostalgia on April 27th at 8PM. Columbus, Dog Easter Egg Hunt (4/20): Bring your dog to join the Franklin County Dog Shelter and celebrate Easter with a Dog Easter Egg Hunt. Columbus, Easter Festivities (4/20): Come celebrate the advent of spring with the Annex! Create and customize your very own rabbit stuffie, or paint any number of eggs with our wide selection of paints. Columbus, Elizabeths Records Spring 2019 Dollar Record Sale (4/28): Three different vendors, an entire room of dollar Records (Lps and 45s). Open bar. All ages but must be 21 to buy alcohol! Columbus, Evening of Light (4/26): Join us for our annual Evening of Light event which brings together more than 500 businesses, organizations, and individuals to celebrate lives turned around by 180 degrees! Columbus, Fantasy Trivia for a Cause at Art Outside the Lines (4/26): Art Outside the Lines is an art studio in Columbus entirely run by adults with disabilities. Columbus, GSE Compulsory Gymnastics Team Tryouts (4/20): It's that time of year again! We are accepting new young ladies to join our competitive gymnastics team! Columbus, Happy Hour (4/19): Get a jump start on the weekend at our Big Happy Hour today from 3-7p. Columbus, Henodus / The RagCoats / Minions Of Mayhem / The Manatee Room (4/19): It's gonna be a GREAT Friday on Good Friday with awesome acts on tap. Columbus, Holy Saturday - Blessing of the Easter Food Baskets (4/20): Please Join us for the Easter Basket Food Blessing held at Holy Family Catholic Church. Columbus, Julia Robinson Mathematics Festival (4/27): Julia Robinson Mathematics Festival is on April 27th at Past Foundation in Columbus, OH. Columbus, Life in the Age of Rembrandt (2/1 - 6/16): On view exclusively at CMA, Life in the Age of Rembrandt is the first collaborative projectstemming from an ongoing international partnership between CMA and the Dordrecht Museum, The Netherlands. Columbus, Live Life Beautifully with L’BRI PURE n’ NATURAL (4/27): Get to know L’BRI PURE n’ NATURAL and out incredible line of aloe-based skin care and high performing anti-aging products. Columbus, Mother Daughter Studio Session (4/20): Mingle with other ladies in the Kilbourne Room and enjoy light hors d'oeuvres while you let our professional partners pamper you with makeup and a fresh blowout style*. Columbus, Ohioana Book Festival (4/27): Join us for the 13th annual Ohioana Book Festival on April 27th! Columbus, OhioDance Festival and Conference (4/26 - 4/28): There will be many classes, workshops, discussions and performances during the festival. The brightest talents in dance converge on Columbus to share new ideas and innovations in the field of dance. Columbus, PBR 10K 19 (4/27): Back after another trip around the sun (and then some) the PBR10K will yet again be your favorite fundraiser on the annual calendar. Columbus, Romancing the Grape 2019 (4/27): Like a fine wine, we've aged nicely. 2019 marks the 100th anniversary of Easterseals. Celebrate with us! Columbus, Shotgun Taxi Rocks Shakers Friday Bike Night (4/26): It's our debut @ Shaker's and we're ready to rock bike night! Ride on out (or drive) and come party with us. We'll be rockin tunes from the 70's, 80's, 90's, & 2k's! 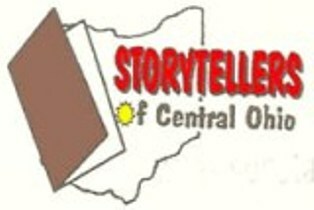 Columbus, SPAN Ohio State Conference (4/27): 16th Annual State Conference. Breakfast and Lunch included. Keynote speaker is Michael Lighty, Sanders Institute Fellow. Columbus, Supper Club Saturdays Presents: Mojoflo (4/27): MOJOFLO IS BACK!! SATURDAY APRIL 27TH!! !..AND YOU KNOW THEY’RE BRINGING THE WHOLE CITY OUT WITH THEM! 9pm-MIDNIGHT MOJOFLO LIVE! Columbus, The Menus (4/19): Cincinnati-based band The Menus take the stage for a night of their signature sound live in concert! Tickets are $6 online or $10 at the door. Doors open at 5 p.m.
Columbus, The Office of Tenebrae (4/19): The Cathedral Schola’s annual presentation of music for Tenebrae, featuring motets of Gesualdo and Tallis’ Lamentations of Jeremiah, has become one of the Cathedral’s most popular events. Columbus, Three Amigoz Live! (4/20): 3 Amigoz is a three piece rock cover band (some original music as well) out of Grove City/West Side of Columbus. Columbus, Treasures from the Collections of the Billy Ireland Cartoon Library & Museum : This permanent exhibit features a selection of exceptional artwork and artifacts highlighting the breadth and depth of our collections. Columbus, Turkish Food Festival (4/27): TASO proudly welcomes you to Turkish Food Festival on Saturday, April 27th! Columbus, Vintage Market Days of West Columbus (4/26 - 4/28): Vintage Market Days® is an upscale vintage & vintage-inspired indoor/outdoor market, featuring original art, consumable yummies, seasonal plantings & a little more. Columbus, Viva Italia! Participatory Dining Experience (4/19): Join us for a celebration of all things Italian with our Viva Italia Dinner Party. With plenty great food and Italian wines, this will be a party to be remembered! Cuyahoga Falls, Rossi & Romano at Market District (Portage Crossings) (4/26): Do you need to grocery shop (don't we all)? Well, why not shop, drink, eat and hang with us for a couple of hours. It's an early night 6-8 PM! Dayton, Arbor Day with MadTree! (4/26): Celebrate Arbor Day with us and Madtree this year! Dayton, Beginning Tarot Workshop (4/20): Ever wanted to learn to read tarot cards! Now is your chance! When you walk out of this workshop you will be able to start doing reading for yourself or for your friends. Dayton, Client Appreciation Night (4/27): Please join us for the RE/MAX Alliance Client Appreciation Night at the Boonshoft Museum of Discovery, Saturday, April 27th, from 6-9pm. Dayton, Dayton’s 12th Annual Hip Hop Showcase (4/20): Sponsored by Busy Kids Gymnastics, come out to Dayton's 12th Annual Hip Hop Showcase. With over 30 acts, this year is going to be truly amazing! Dayton, Easter Toddler Time! (4/19): Bring your baskets and hop around with us to search for Easter Eggs! Dayton, Good Shepherd Ministries Spring Gala 2019 (4/26): Annual fundraiser to support the ministry of providing sober living housing and programming to those individuals recovering from addiction. Dayton, National Rebuilding Day (4/27): The 24th annual National Rebuilding Day event will [Re]vitalize the Edgemont neighborhood. We will be working on 16 homes as well as community improvements. Dayton, World Tai Chi & Qigong Day (4/27): Experience the amazing benefits of breathing along with gentle movement and mind focus. Western medicine calls Tai Chi “Meditation in Motion,” and its health benefits are well researched. Dover, 26th Annual Dandelion May Fest (5/3 - 5/4): Family-friendly fun, food, and Dandelion Wine! Dublin, Board Game Night (4/20): We will be hosting game night! We'll have board games, video games, music, food, and lots of fun! Bring your friends! Dublin, Get the Facts Straight! (4/27): Join me for an hour walk through of a local grocery store as we talk about nutrition labels! Dublin, Party Hardy with Princess Poppy (4/20): Come meet Princess Poppy at Ja’Lae’s Jungle Gym located upstairs at Tuttle Mall. Elyria, 4th Annual Spring Show PRFM Lorain (4/27): Punk Rock Flea Market Lorain County presents our 4th Annual Spring Show sponsored by Darkside Desserts! Fremont, 3rd Annual Cinco De Mayo Festival (5/4): The City of Fremont's 3rd Annual Cinco de Mayo Festival is being held on Saturday May 4th in Downtown Fremont. Gahanna, Movie Night at Krazzy Comics (4/21): Come join us for a free movie, refreshment's and fun. Gambier, Keep It Wild: Earth Day at the BFEC (4/20): Get WILD at the Brown Family Environmental Center from 12 - 4 p.m. on April 20, 2019! Garrettsville, The 2019 EarlyBird Festival (4/26 - 4/28): Come kick off the festival season at the Quarry, jump off the cliff & do the Polar Plunge! Girard, The Big Tap In (Real Craft Beer Festival) (4/27): Great beer, delicious cider, food, crafts, great entertainment and more. Granville, Taste of Granville (4/27): A culinary event benefiting the Rotary Club of Granville's Foundation to support local scholarships and service projects and bringing clean water to Haiti. Grove City, Raise Your Glass to Raise Awareness (4/26): Raise your glass and show your belief in Bridgeway Academy's mission to inspire the potential and celebrate the ability of every child. Hamilton, 33rd Opening Day Celebration (4/27): Come and celebrate 33 wonderful years with us! A day to browse the greenhouse, spend time with family and friends and get beautiful blooms for your home. Hamilton, Buti, Bellini’s, and Pure Romance Pampering (4/26): We will start our evening with an hour of Buti Yoga, followed by cocktails and a Pure Romance event where you can buy products to pamper yourself and all your lady needs! Hamilton, Easter at the Village (4/21): All are invited to gather with us! We meet at 10:30am at The 210 (210 South Second Street, Hamilton, OH 45011). Come as you are! Hamilton, Healthy Kids Day (4/27): On April 27, 2019 the Y will celebrate Healthy Kids Day, our national initiative to improve the health and well-being of kids. Hamilton, Pond Clinic and Fish Sale (4/27): Butler SWCD is happy to announce we are taking our pond clinic on the road this year to Hamilton Izaak Walton. Hamilton, SCCF Good Friday Celebration! (4/19): Join us as we honor the crucifixion of our Lord and Savior Jesus Christ! Hamilton, Trust the Process (4/27): Heart of the Matter Ministries is hosting our 13th annual retreat. Hamilton, Volunteer Orientation (4/20): Become a volunteer on Saturday, April 20, 2019 at 9:00 AM. Hartville, Hartville Moonlight Market (4/26): The Market will be held on April 26, 2019. There will be music, lights, vendors, food trucks and much more. Hilliard, League of Legends Open Tournament #4 ($1000 Prize Pool) (4/27): Game Arena's League of Legends Tournament is a 5v5 event for both competitive and casual players where everyone has a chance to win cash prizes! 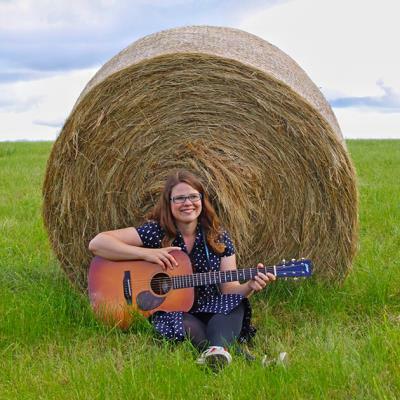 Huron, 2019 Earth Day Extravaganza (4/28): Join us on the last Sunday in April for our Earth Day Extravaganza! Kettering, Dorothy Lane Am. Baptist Church 4th Annual Spring Craft Fair (4/27): Money raised from space rental will be used for school supplies for local schools. Kettering, One More Barstools and Brushstrokes (4/28): We're pleased to announce the next Barstools and Brushstrokes event at One More Tavern! Kettering, Spring Festival (4/20): Bring the family for a free event for all ages. We will have various game booths, prizes, face painting, and food will be provided. Lakewood, Free Community Lunch & Learn (4/27): This Lunch & Learn is a FREE community event open to the public* Spread the word to your family, friends & co-workers and join us for your lunch break! Lakewood, Sixth Annual Spring Bash & Thrash (4/19): Welcome to the bash where artists across the US throwdown in the Rock and Roll Capital. This predominantly Metal event sheds light on talent that goes unnoticed, unrecognized. Lancaster, It Started With Pencil and Paper (3/16 - 9/8): The Ohio Glass Museum, is pleased to present its 26th exhibition of glass, “It Started with Pencil and Paper,” March 16, 2019, through September 8, 2019. Lewis Center, Central Ohio Folk Festival (5/4 - 5/5): The festival is held the first full weekend of May at Highbanks Metro Park. Lorain, Hotel California (4/27): For almost three decades HOTEL CALIFORNIA has been recreating the legendary sound of THE EAGLES, and thrilling audiences all over the world. Lucasville, Lucasville Spring Trade Days (4/27 - 4/28): You'll find a wide range of flea market wares, hunting equipments, arts and crafts, guns and knives and lots more. Enjoy great food. Marysville, 2019 Taste of Marysville (4/27): Come and experience what Union County restaurants, caterers and food vendors have to offer, along with great entertainment and fun activities. Middleburg Heights, Vintage Market Days of Central Cleveland (5/3 - 5/5): Vintage Market Days® is an upscale vintage & vintage-inspired indoor/outdoor market, featuring original art, consumable yummies, seasonal plantings & a little more. Middletown, SAME Sporting Clays: 2019 (4/19): -Course is made up of 13 stations of varying layout and target quantity/presentation. Total target count is 100. Course is outdoors along improved gravel path. Cart rental is available. Newark, MAY DAZE Music Festival 2019 (5/3 - 5/4): Laughing Sam Productions is proud to present, for the 8th year, May Daze Music Festival happening on May 3rd and 4th! North Bend, Chef Dana Adkins, 2019 Adkins CHF Dinner Series (5/5): Chef Dana Adkins has been doing on-farm dinners at Carriage House Farm for quite some time now. Oak Harbor, The Biggest Week In American Birding (5/3 - 5/12): TBW is a 10-day birding festival in "The Warbler Capital of the World," brought to you by Black Swamp Bird Observatory. Parma, Bake Sale (4/20): On April 20th from 10am - 4pm we will be having a bake sale. Stop on by and get some fresh baked goods for Easter. Parma, Good Fri-Day Camp (4/19): At this annual event, students from Pre-Kindergarten through 5th grade are invited to join us for our 1-day, Vacation Bible School style day camp. Parma, Guilty Til Proven Innocent - Official Release (4/28): The premiere of the completely re-edited, enhanced and updated “Guilty ‘Til Proven Innocent” will be held in Parma, Ohio on April 28th! Parma, PACC April Open House (4/26): Join the Parma Area Chamber of Commerce for a B.A.B Open House on Friday the 26th. Peninsula, Ramp Up Peninsula (4/27): "Ramp Up Peninsula is an inaugural festival honoring the ramp, the wild leek, the ramson, also known as "little stinkers" by some folks in the Cuyahoga Valley. Piqua, 2019 Purses with a Purpose (4/28): Benefit Auction for New Path includes lunch, beverage and dessert,designer purses will be auctioned off and we'll have a boutique filled with purses and accessories. Ravenna, Ravens Nest Fest 2019 (4/28): Join us at the Ravens Nest Fest 2019 on APril 28th! Saint Clairsville, Jerrys Walk: Illuminating Suicide Awareness 3rd Annual Walk 2019 (4/28): The mission of Jerry's Walk is to shine a light on suicide in order to remove the stigma from what is truly a public health crisis. Saint Marys, Children’s Literature Festival (5/4): Free festival featuring local authors and illustrators with loads of free family fun! 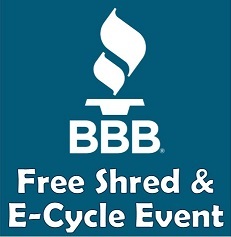 South Charleston, Better Business Bureau Shred & E-Cycle Event (5/4): Free shred and e-cycle event for all. Please call 330-454-9401 or visit our website bit.ly/2019shredevent for more information. Springfield, 3rd Annual High Street Fish Fry (4/27): Don't miss this year's event - featuring breaded cod fillets, fresh fried chips, green beans, slaw, drinks, and homemade pies and cookies. Springfield, 4th Annual Founders Celebration (4/20): Join us on Saturday April 20 at 2:00pm to celebrate our 4th Annual Founder’s Day. Springfield, Madison County Service Day 2019 (4/26): There is much to do, but the hands of many make the work light. Join your community for a day of volunteering and helping those in need. Springfield, Print Positives (3/24 - 10/6): Print Positives features a wide array of prints from the Museum’s permanent collection. Approximately 20% of the collection is composed of prints. Springfield, Shelter: Crafting a Safe Home (1/26 - 6/1): Shelter is universally identified as a basic human right, yet refuge and protection are out of reach for millions of people worldwide. Tiffin, Tiffin Spring Flea Market (4/27 - 4/28): Event will be held on April 27-28, 2019. Come shop a wide variety of merchandise. Toledo, 18th Annual Paw Hoorah! (4/27): We'll have spectacular silent and live auctions that some have said are the best in the city. The setting of the Toledo Country Club only adds to the beauty of the evening. 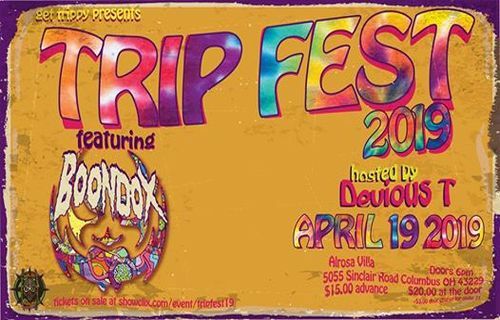 Toledo, A Grateful Dead 420 @ Maumee Bay Brewing w/Being Grateful (4/20): A Grateful Dead 4/20 is proudly brought to you by FROGtown GlassROOTs and Mind & Soul Collective. Toledo, Autism Awareness Breakfast (5/3): Informative and inspiring, the Autism Awareness Breakfast connects family members of individuals with autism to valuable community resources, including dedicated local service providers. Toledo, Ballroom Bash ! (4/26): Dance the night away to REAL music played by Toledo's finest players and singers....This is a super fun event. Cash Bar , Free Munchies, door prizes ....see you there ! Toledo, Bowl4Dogs (4/20): Saturday, April 20th Jug’s Bowling Center is hosting Bowl4Dogs for Dogworks! Bring your family and friends for a day of bowling for the dogs! Toledo, Lunch with the Easter Bunny (4/20): Join us for lunch, a chance to meet the Easter Bunny, and hear the Easter story! Each child will receive a small gift. Toledo, Nasty Habits 1st time at The Grapevine for a good time. (4/20): This dynamite band brings in the fun with the music and keeps those toes a tapping while you are singing along with your favorite golden hits that we all remember from the 1950's and 1960's era. Toledo, Ohio Beer Month: Zaftig Brewing Co. (4/19): Next up for Ohio Beer Month at The Bottle Shop is Zaftig Brewing Co. out of Worthington! Join us on Friday, April 19th from 5:30-7:30pm and explore another one of Ohio's great breweries! Toledo, Sunday Brunch with the Mascots (4/21): Have brunch at Holy Toledo on Sunday, April 21, 2019 at 11:00 AM. Toledo, Toledo Voices - Tenure (4/20): "Toledo Voices" will present unproduced plays by local writers in a series of readings held at the Toledo Repertoire Theatre on April 20, at 8:00 pm. Westerville, Our Village: Egg Hunt Play Date (4/19): Please join us for a FIT4MOM egg hunt! We are SO excited for this one. Our littles will LOVE waddling around to collect eggs full of little treats (and maybe some prizes for MOM!). Worthington, Green on the Green 2019 (5/4): Meet local exhibitors promoting sustainability, healthy living, handcrafted items, native animals, and environmental stewardship. Xenia, Vintage Market Days of Dayton-Cincinnati (4/26 - 4/28): Vintage Market Days® is an upscale vintage & vintage-inspired indoor/outdoor market, featuring original art, seasonal plantings & a little more. Youngstown, Easter Brunch Buffet (4/21): Join Jeff Chrystal and Overture Restaurant at our elegant Easter Sunday Brunch Buffet. Youngstown, Holger Keifel: Only in America (3/24 - 5/5): Holger Keifel, who was born in Germany and now lives in New York City, has become one of America’s finest fine arts photographers. Youngstown, Hollywood Stills from The Butler Collection (4/7 - 5/26): The Butler Institute of American Art’s permanent collection includes a unique collection of Hollywood Movie stills from the so called Golden Age of Hollywood. Youngstown, Losing September returns to Youngstown (4/19): National touring band, Losing September returns to Youngstown! Youngstown, Radio Edit returns to The New Brickhouse (4/20): Radio Edit returns to The New Brickhouse Tavern on April 20 9pm-1am so if you missed the last show be sure to come out and party with the band on April 20! Youngstown, Sip & Shop (4/26): Grab a friend & join us for our first Sip & Shop event! There will be drink specials & see what our vendors have for you! Youngstown, The Labra Brothers - Colder Weather Album Release! (4/20): Join us at Westside Bowl on April 20th, where we plan on celebrating with some friends, old and new. Youngstown, Youngstown Cinema/ DP Visual Present the Refractor (4/20): Youngstown's superhero comes to the Knox Bldg for a screening Saturday 4/20 8pm, followed by discussion with the director and cast members.